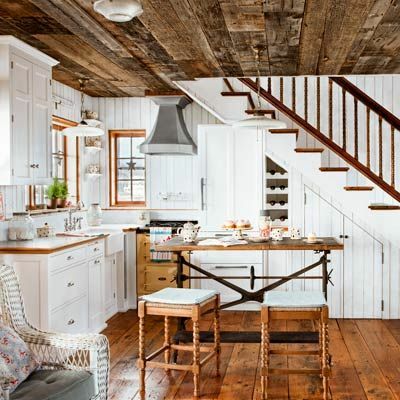 We’re loving the look and feel of these beach cottage kitchens! They’re open, airy and extremely inviting which makes the look perfect for this time of year! A beach cottage kitchen brings the right amount of rustic charm while creating a cozy environment that always feels like home. Do you have to get creative with counter space at times? Sure, but nothing a little planning and proper execution can’t handle. Imagine yourself breezing around the kitchen whipping up a tasty snack or a delicious dessert. Do yourself a favor and check out some of these lovely kitchens we’ve found! We wouldn’t mind owning one of these kitchens, would you?